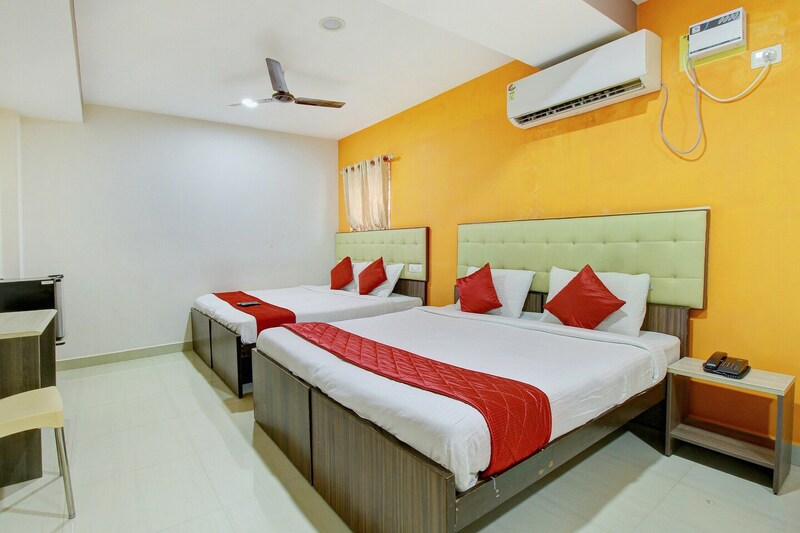 Hotel Akash Park welcomes its guests to comfortable and warm rooms. The prime attraction of the rooms here are the warm-colored walls and bold bedsheets. The rooms have been decorated with textured wallpaper designs and the furniture provided has a smooth wooden finish. The rooms have been provided with lavish sofa sets making for a comfortable seating space in the room. Some of the facilities provided by the hotel are an elevator, card payment, parking, laundry, power backup, CCTV cameras, and free Wi-Fi. The front desk service is managed by a helpful staff. The hotel is quite close to a number of restaurants.